You can add new bookings, gain a quick overview of new and accepted bookings in chronological order etc. TEAM: Create your own network. 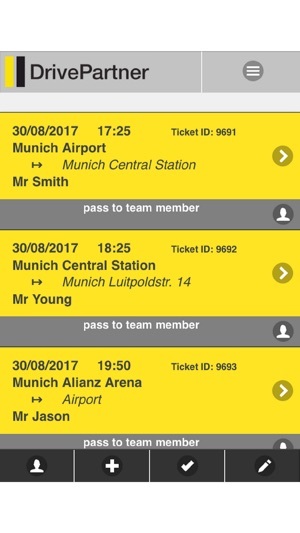 You can establish your own teams for exchanging bookings. Benefit from your DrivePartner network with new orders. ONLINE BOOKING: Delight your customers. After your registration at www.drivepartner.com, you will have your own booking website. 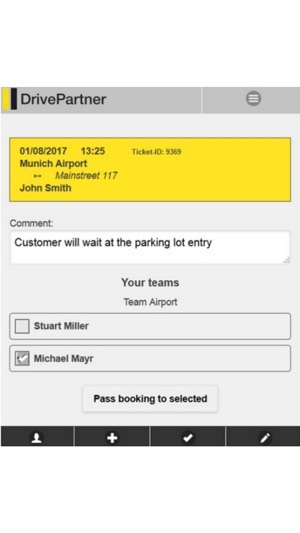 By that, the booking process for your passengers is as easy as can be.